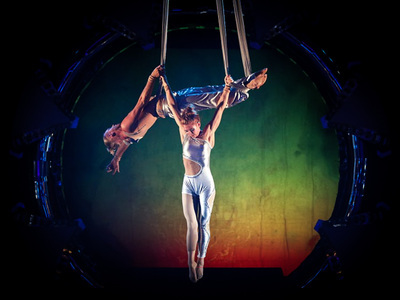 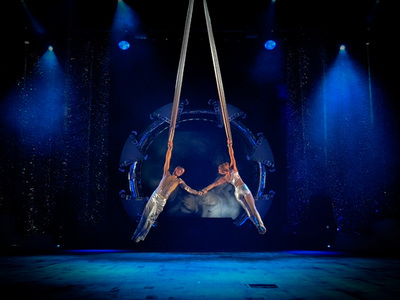 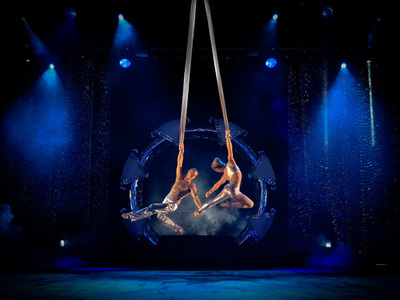 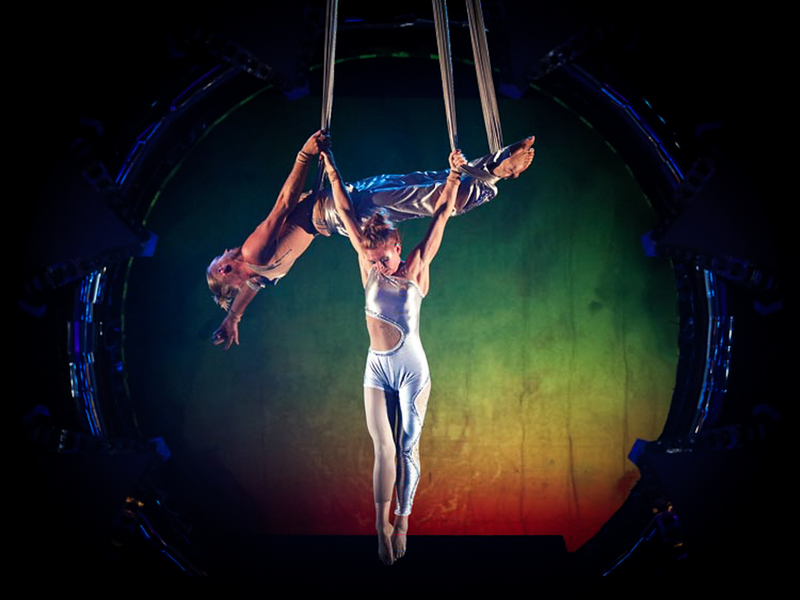 A highly impressive and effective act where an acrobatic couple is lifted up in the air and perform a choreography with symmetry. 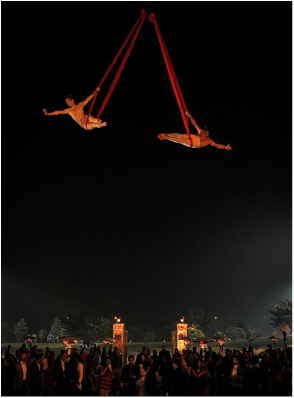 The performance is breath-taking and romantic and represents symbiosis of partnership and synchronicity. 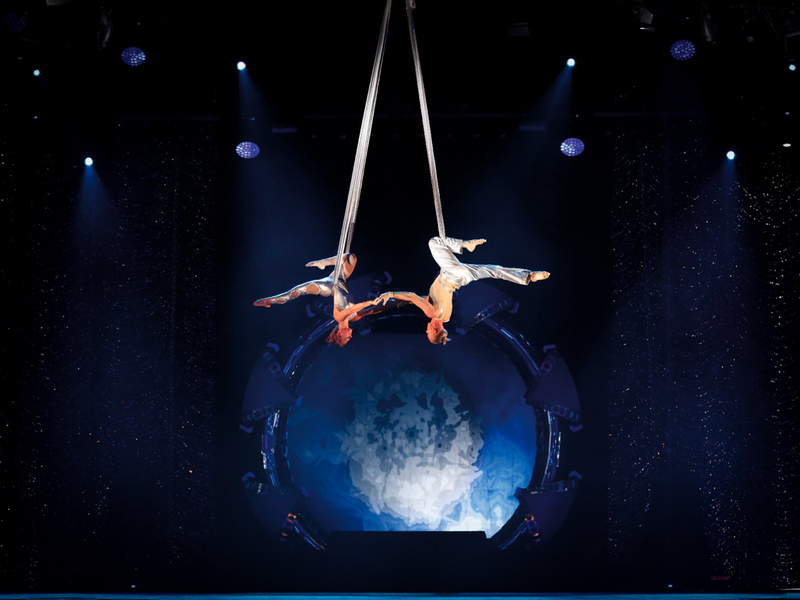 Flying on one arm and spinning in the air with elegance makes this act powerful and dynamic and pleases even the most demanding audience. This production is performed most efficiently with a motor or counterweight but can also be static on lower height. 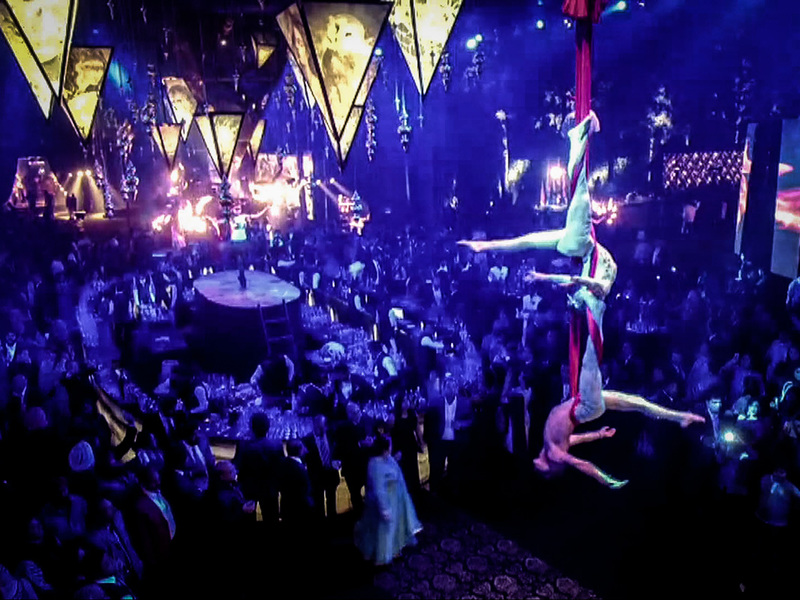 All Our acts have varieties in colour and styles and they are suitable for any type or theme of event. 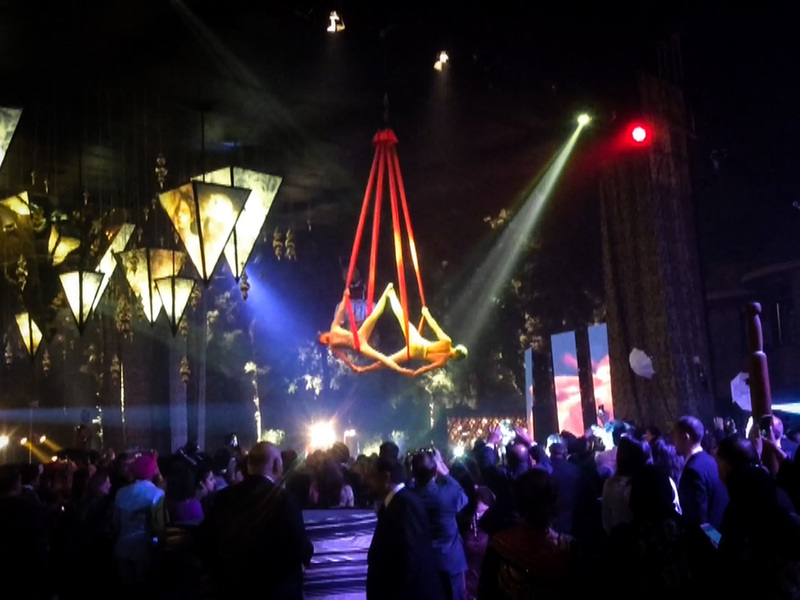 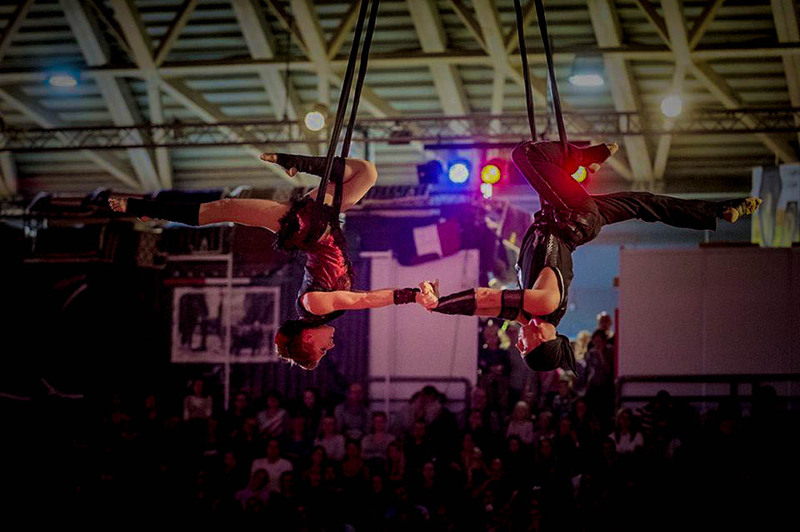 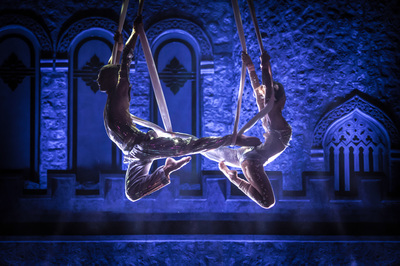 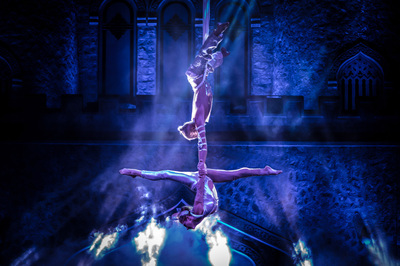 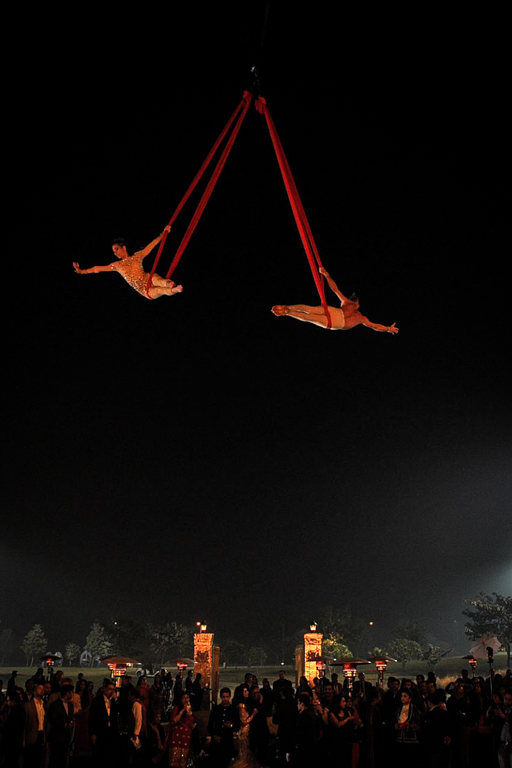 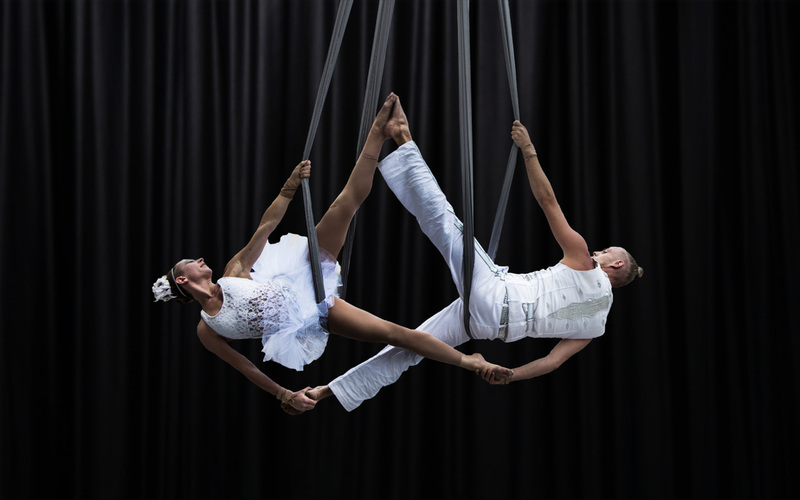 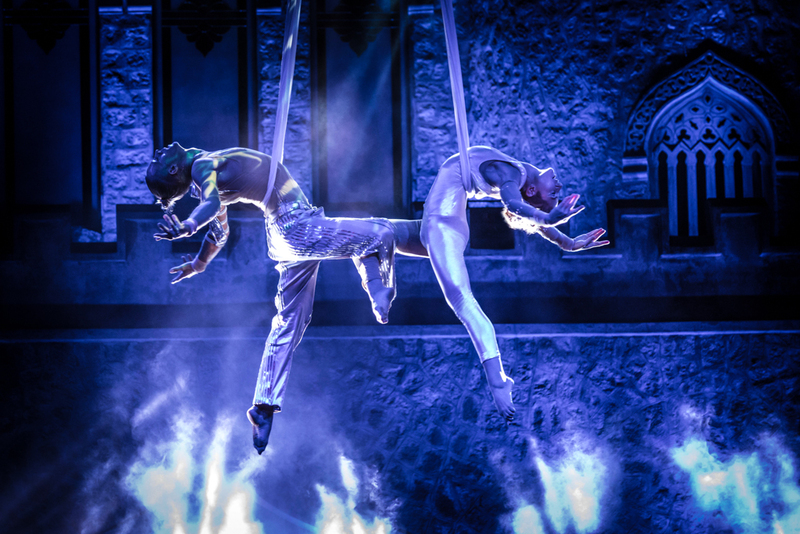 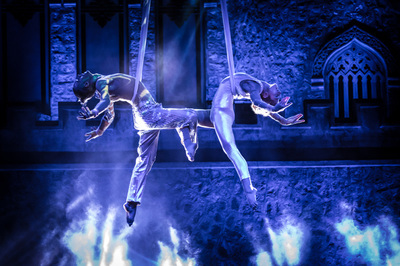 We are cooperating to create the right atmosphere with any of our performances, with choosing the right costume and suitable music to dazzle every audience member with an exciting aerial show.